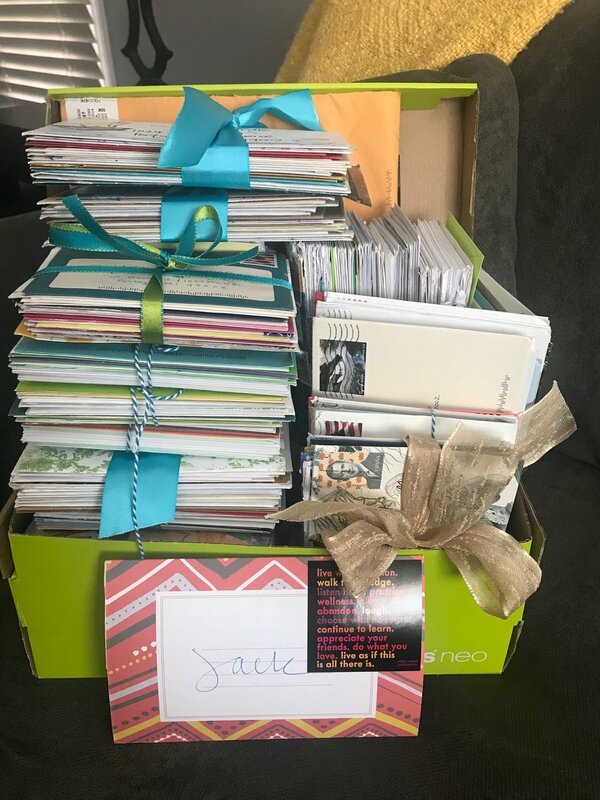 700+ love letters for Jack! 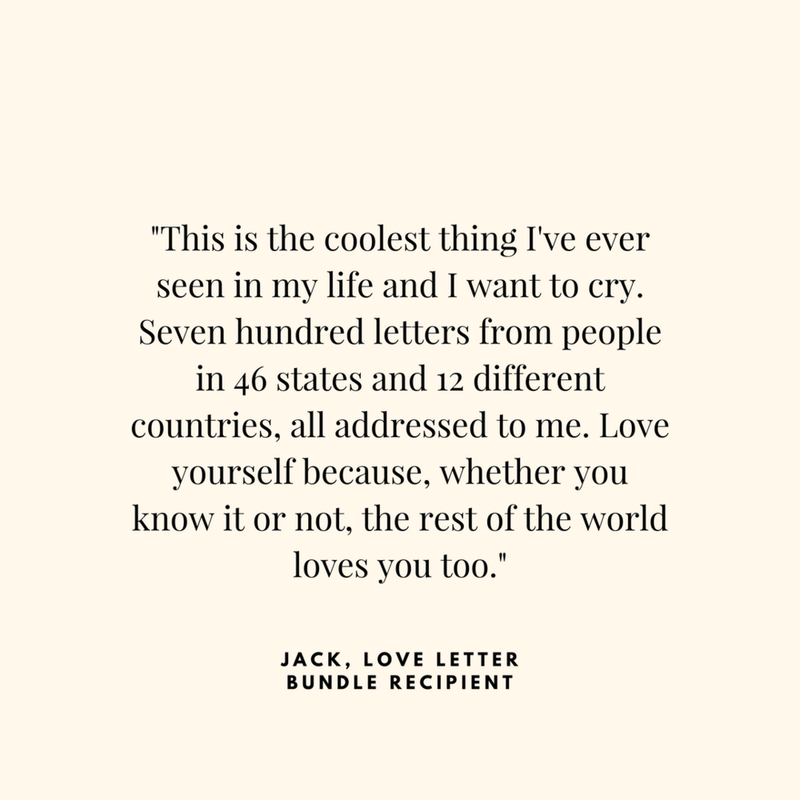 — THE WORLD NEEDS MORE LOVE LETTERS. I am simply overwhelmed by this process! Jack and I left for vacation last Monday. Before we left, I had sorted and counted 539 letters from around the world! I figured there would still be a few stragglers, so I waited until we came home to bundle them up. The mailbox was stuffed full with another 161 letters...are you kidding me?!? 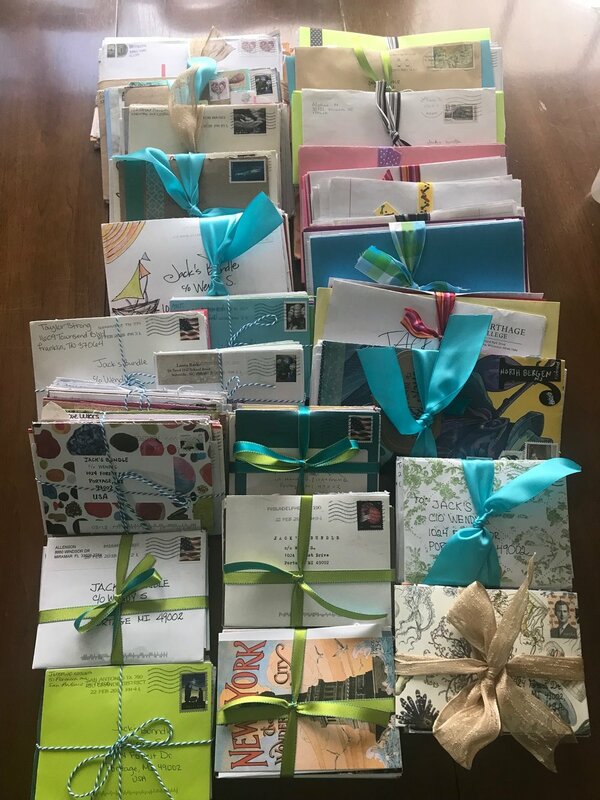 The attached pictures are what 700 letters looks like - all sorted and bundled by size! I'll admit, when it came time to give Jack his bundle of letters yesterday, I was nervous! As touched as I was by the overwhelming response to Jack's story, I wasn't sure how he would respond to my choice to share it with the MLL community. And so I wrote him a letter of my own. And then I held my breath while he read it. He was shocked and overwhelmed. He looked at me and said, "These are all for me?" I nodded and he rummaged through the box before he looked up and said, "This is the coolest thing I've ever seen!" "Yo, this is the coolest thing I've ever seen in my life and I want to cry. 700 letters from people in 46 states and 12 different countries, all addressed to me. The story of my past is a story of struggle and difficulty and the emotions I experienced upon reading the letter from my mom explaining this random box of letters nearly brought me to tears. This has really made me see the good in the world and I am honestly so happy right now. I love my mom and the world so much. Love yourself because whether you know it or not the rest of the world loves you too." He's only scratched the surface of his bundle and it will take him weeks to make his way through it all. And then I imagine he'll revisit most of it again and again. This is truly a gift that he'll carry with him always. Thank you Hannah and the entire MLL community! Your kindness, compassion and love for my Jack is beyond anything I could have ever hoped for and I am overwhelmed with gratitude!